Head over to Amazon and get the Zoomer Zuppies Interactive Puppy, Flora for just $14.69 (reg. $39.99). Shipping will be FREE with Amazon Prime or an order of $35 or more. Flora is your very own cuddly puppy! She’s cheerful, creative and totally loves nature! Share secrets, play interactive games and watch Flora share her secret tricks as she responds to your touch! The more you nurture her, the more she’ll share! Flora plays fun interactive music, has articulated legs and interactive LED eyes that light up bright as you play with her. 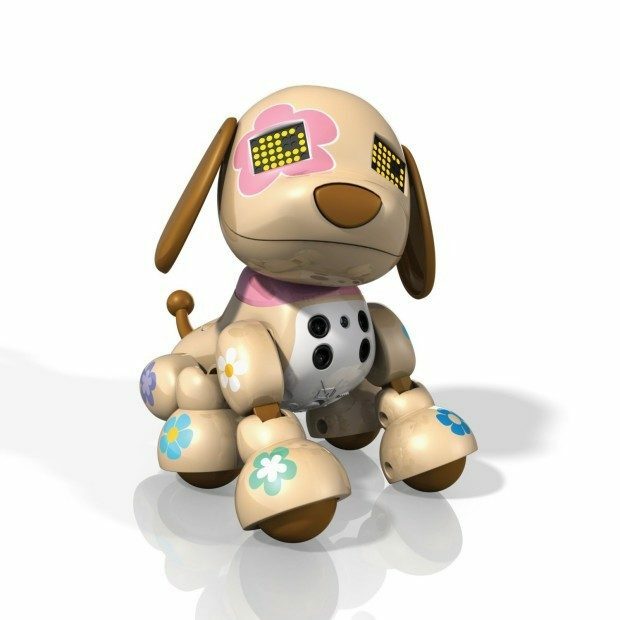 Flora the Zoomer Zuppy is the personal puppy for girls ages 5+ and requires 3 AAA batteries for operation.